Alaska Northwest Books, 9780882405872, 32pp. Moose show up in the oddest places in the North, in children's inflatable swimming pools, peeking through living room windows, even at McDonald's drive-ups. The comical nature of Alaska's lumbering ""Official Land Mammal"" has long made it one of the ""must-sees"" high on every visitor's wish list. Its popularity is even more evident in gift stores chock-full of souvenirs for the moose-obsessed, from moose-adorned T-shirts and cabin furnishings, to moose-dropping necklaces and swizzle sticks. 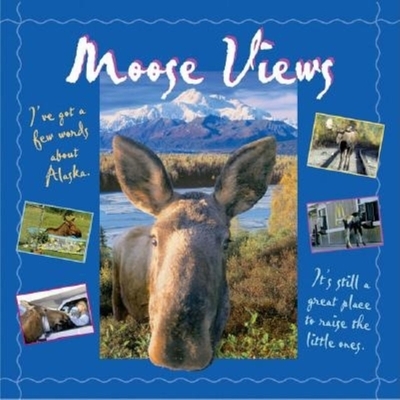 MOOSE VIEWS captures moose meanderings through the human world in hilarious photographs and commentary from the moose point of view. And, for those serious moose fans who want to know more about this curious beast, detailed natural history information on moose habits and habitat is provided at the back of the book.